Hyderabad: Telangana Health Minister, Dr C Laxma Reddy, appreciated Gleneagles Global Hospitals for conducting four successful heart transplation in a month. The Minister visited Gleneagles Global Hospitals at Lakdikapul and interacted with patients and family members and congratulated the organisation and transplant team of doctors. Heart Transplantation is procedure recommended by doctors in cases of end stage heart failure, when medications no longer improve the patient’s condition requiring frequent hospitalization. 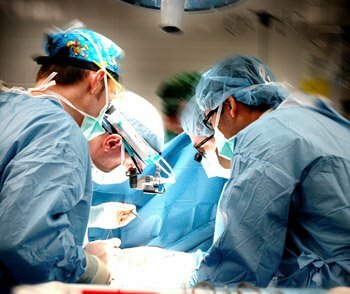 Heart transplant procedure involves replacing the diseased heart with a healthy one. The healthy heart comes from a brain dead patient whose family on humanitarian grounds have agreed to donate organs. The Doctors suggest that it is important that the problem is diagnosed and treated at the first opportunity. All the four patients were in end-stage heart failure with severe breathlessness could not walk even for few steps and could not do any daily routine activities. All treatment options were exhausted including stents/devices and underwent successful heart transplant, Dr Sai Sudhakar, Chief Cardiac Transplant Physician, Glenegales Global Hospitals Dr Sai Sudhakar told media. He said Heart failure (HF) was a major problem in the West and was likely to become a major problem in India. As per projections there were at least 810-million patients with HF in India with a prevalence of about 1 per cent adult population Telangana has highest cardiac related deaths over the last few years and one out of every 5 heart failure patient dies at the end of one year of diagnosis.”Patients with HF in India are younger, sicker and have a much higher morbidity and mortality as compared to their western counterparts. They also do not tolerate the high level of medications recommended in western guidelines. Similarly, devices and other advanced therapies are often too costly and out of reach of many of our sickest patients” Dr Sai Sudhakar added.